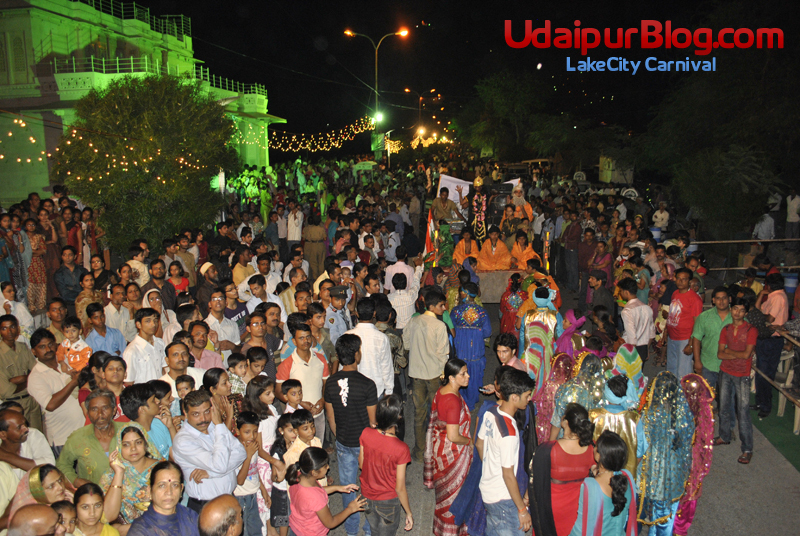 The crowd in thousand’s kept moving on and on to almost half of the city celebrating the merriment with full enthusiasm and zeal. 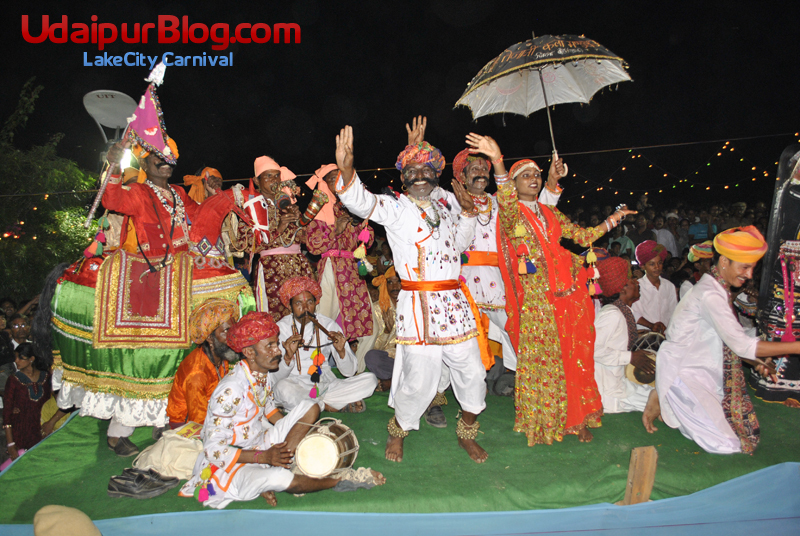 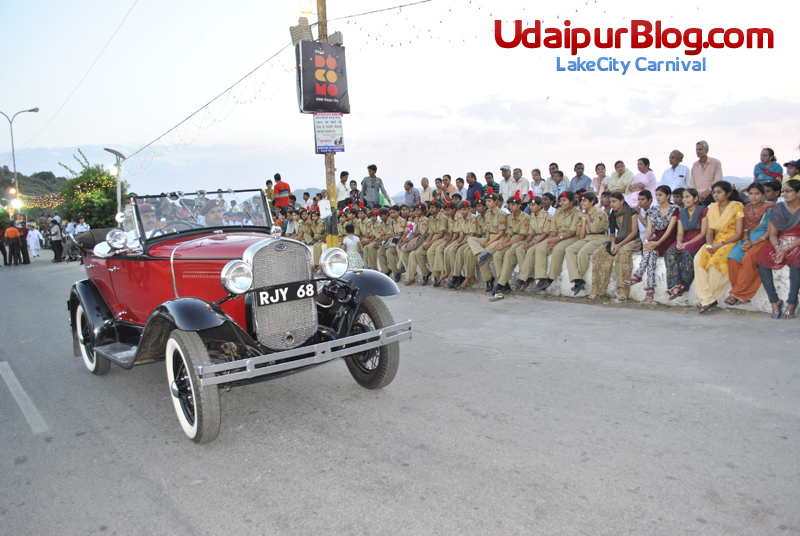 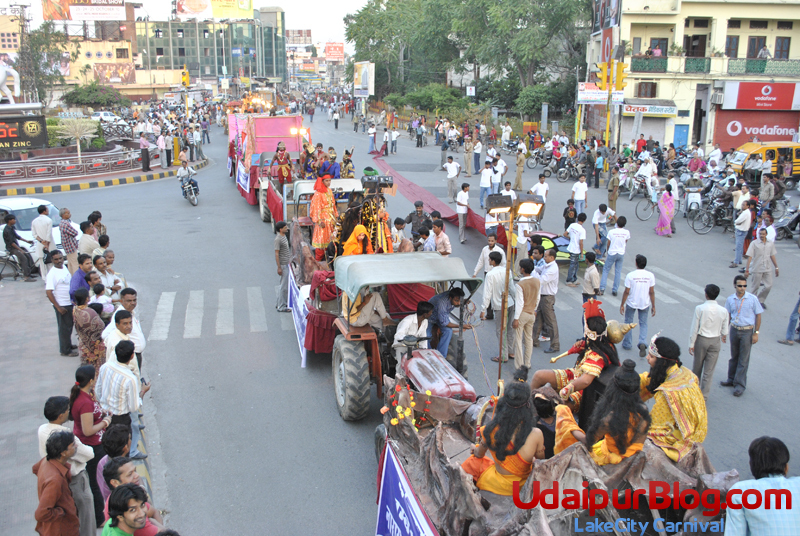 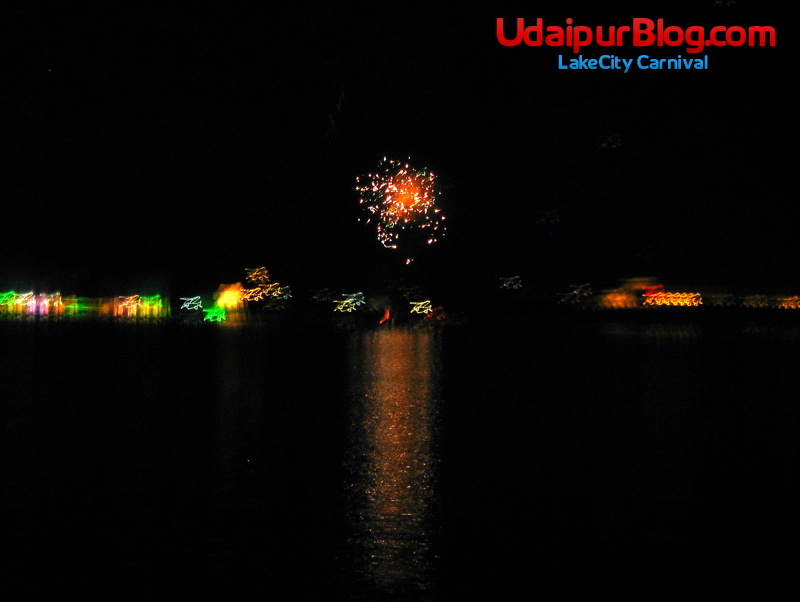 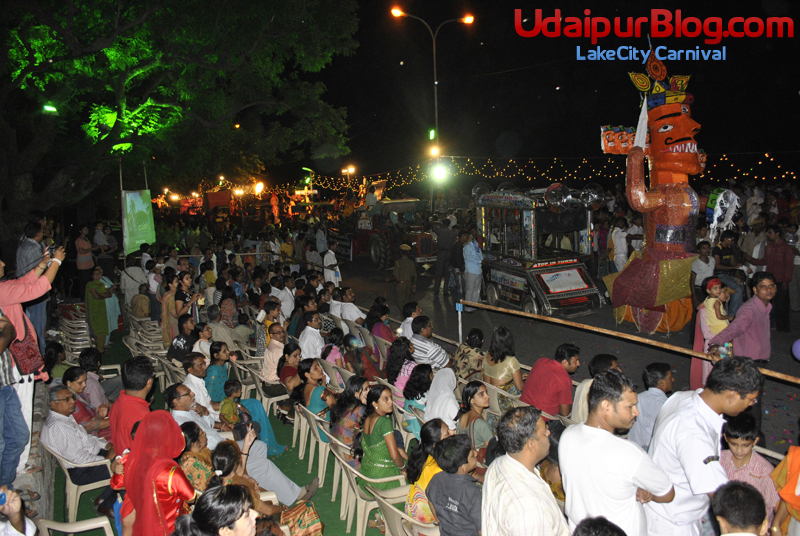 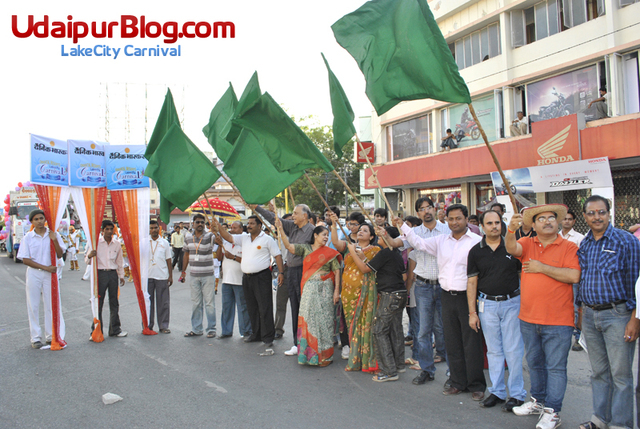 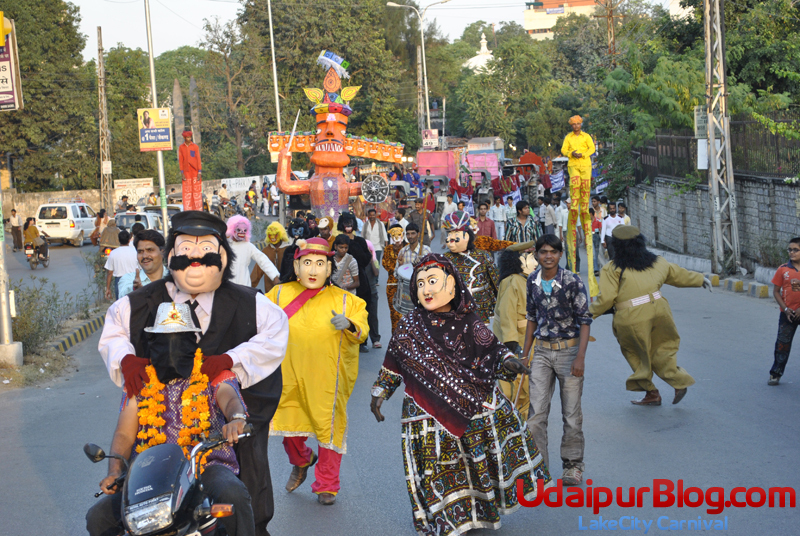 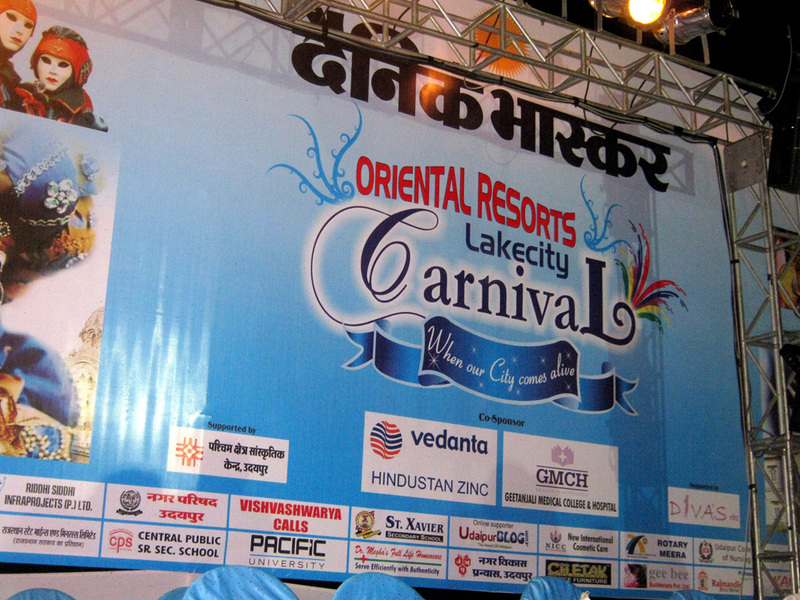 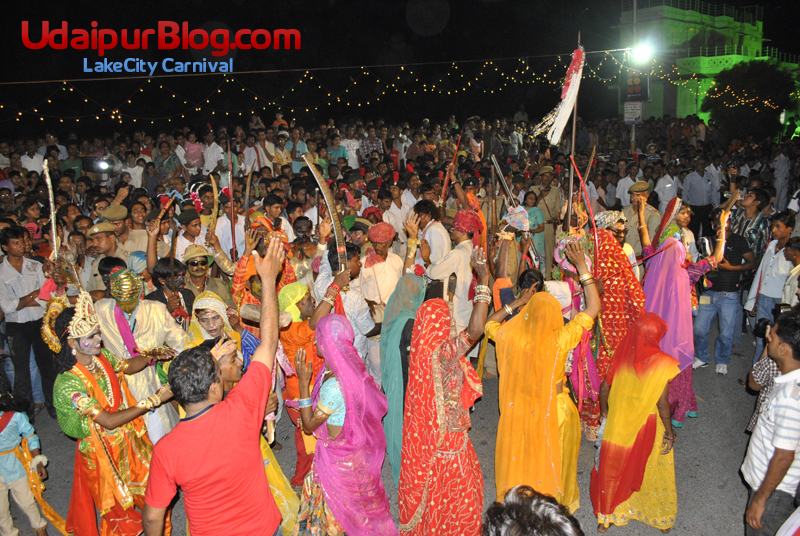 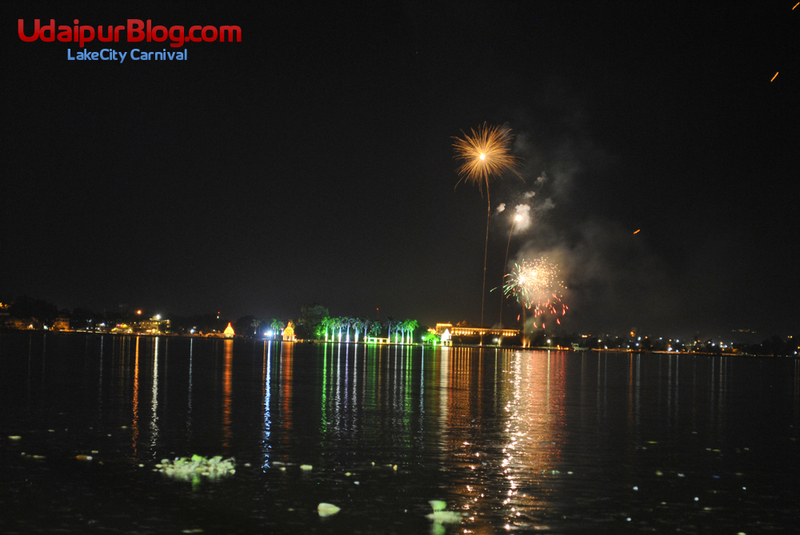 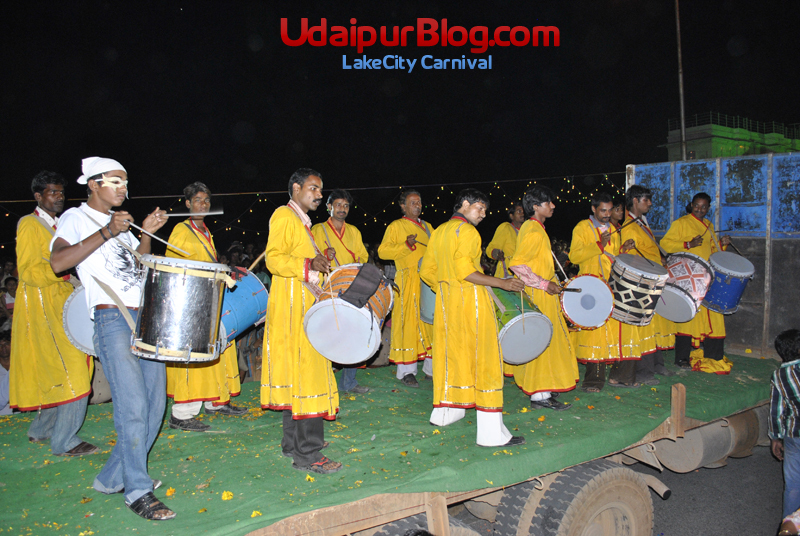 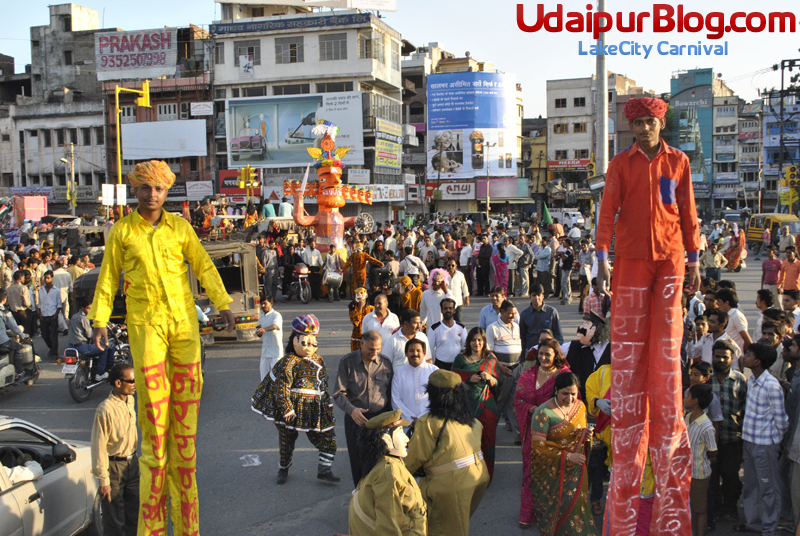 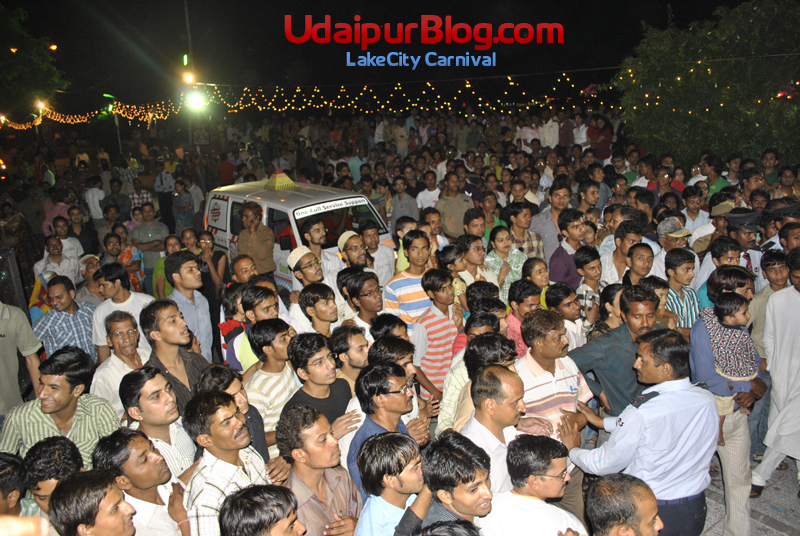 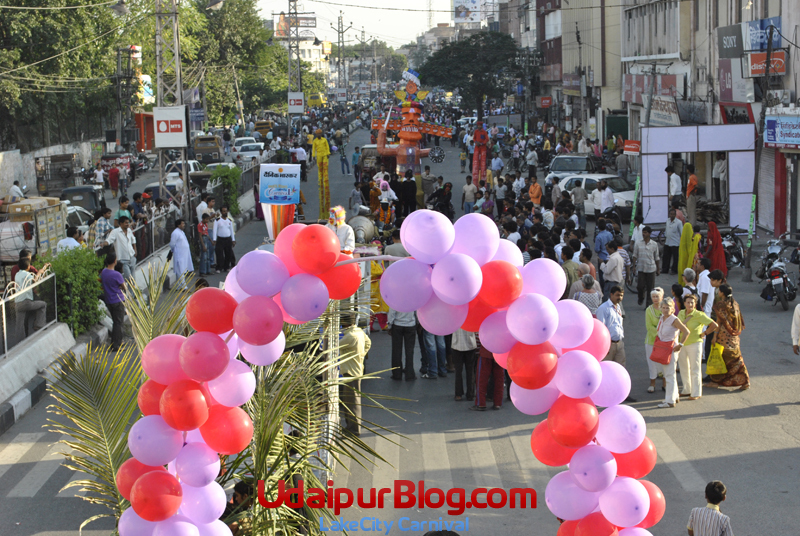 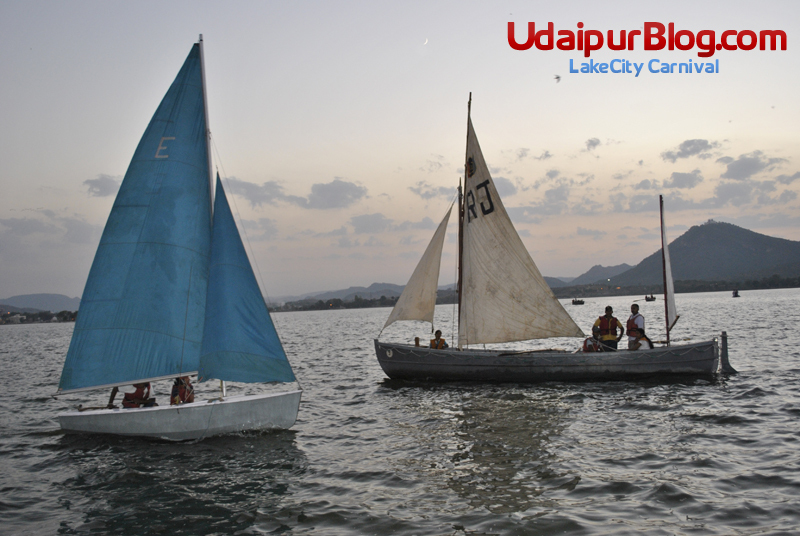 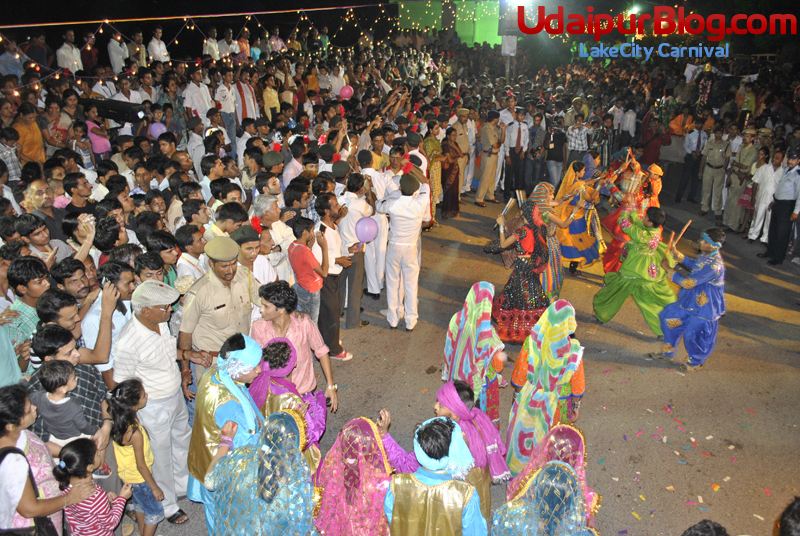 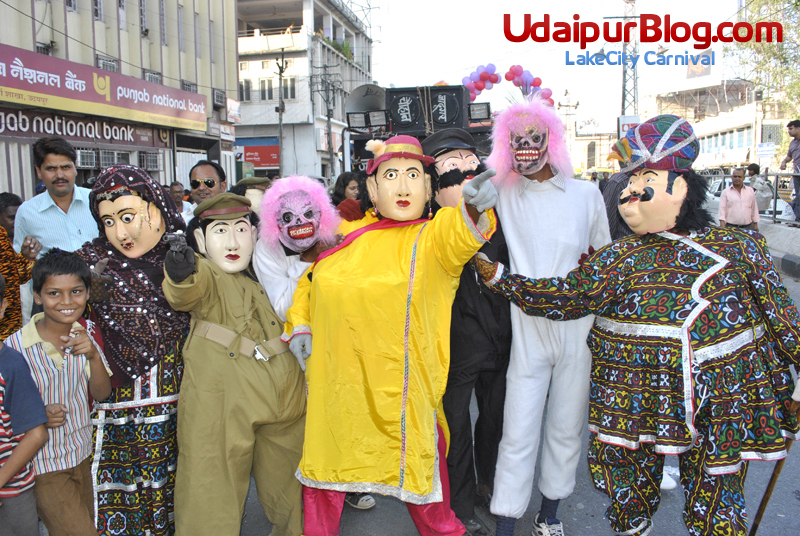 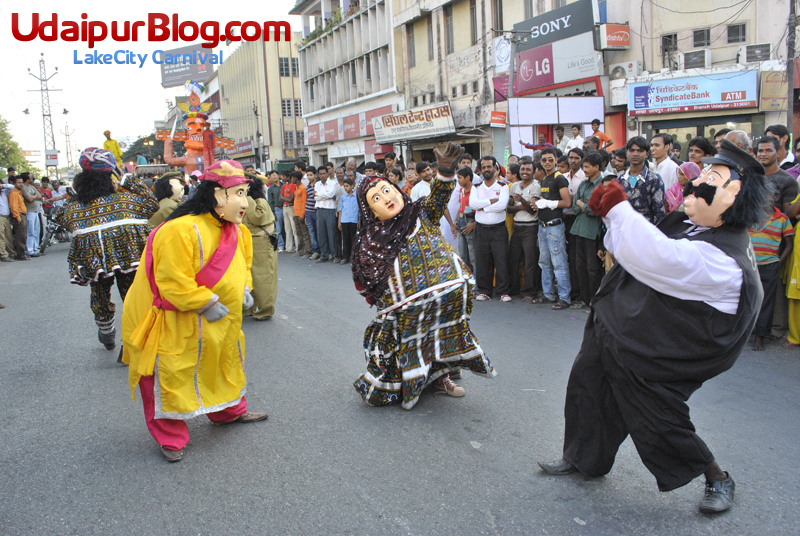 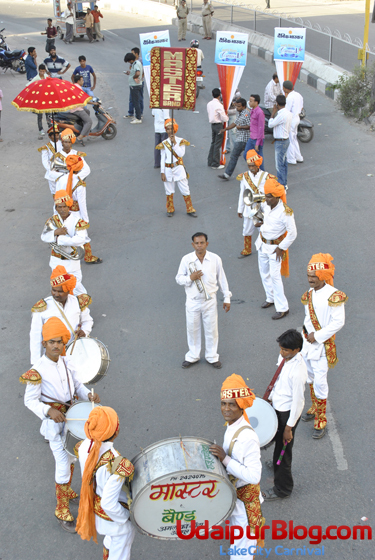 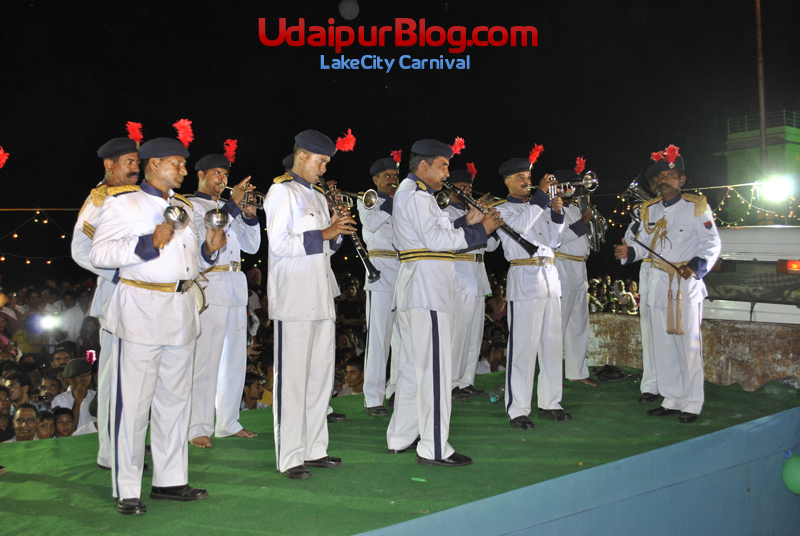 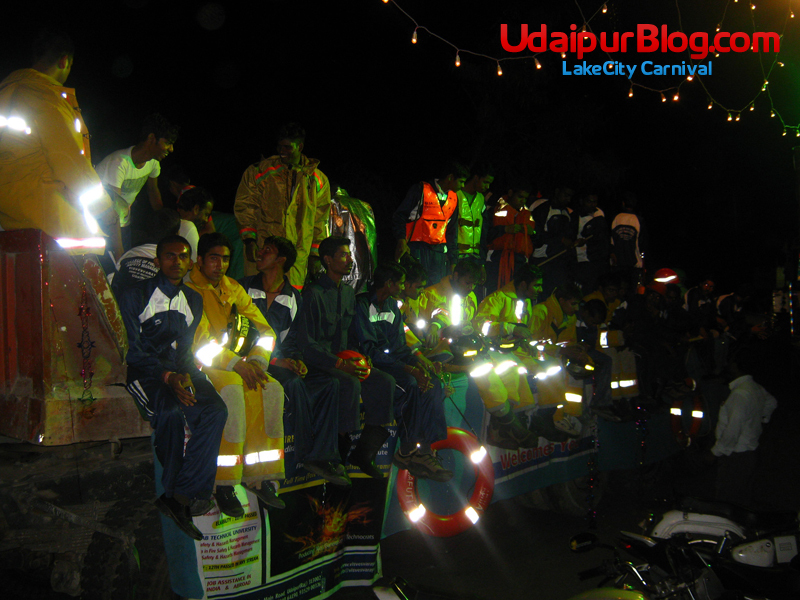 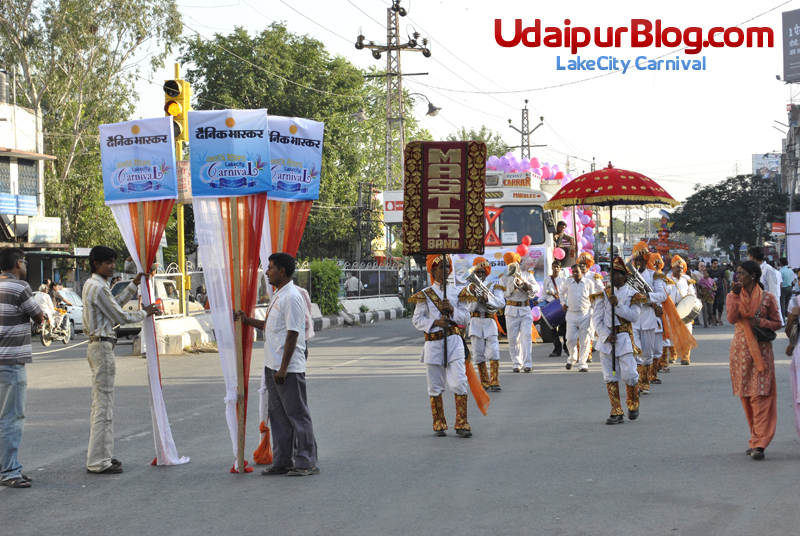 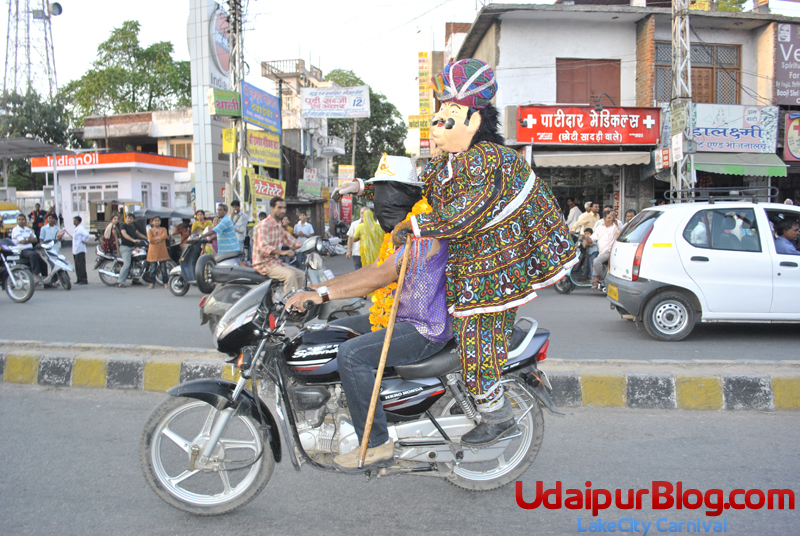 Everyone lost in fun and entertainment of various unique performances by different groups representing their floats, dancing, singing and bustling with full security, moving towards the final destination to The Heart of Udaipur, none other than The Fatehsagar Lake. 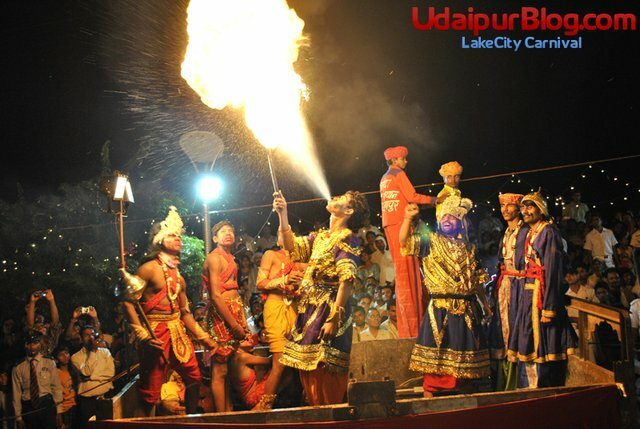 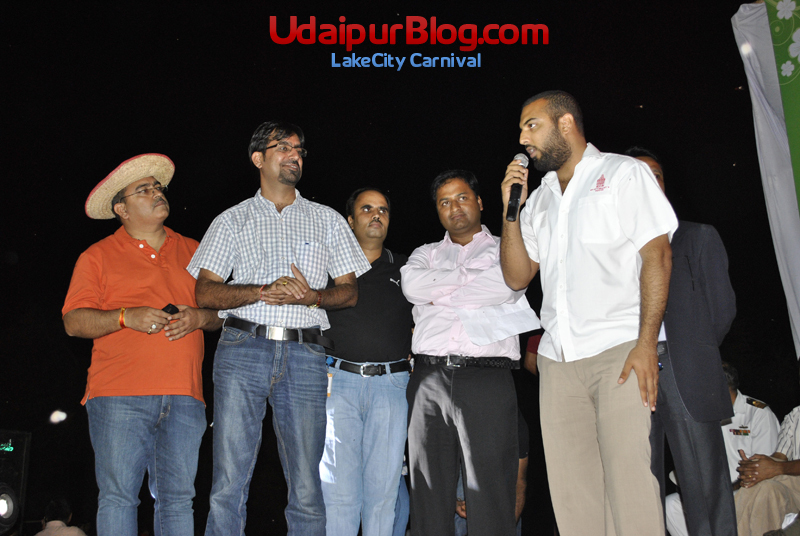 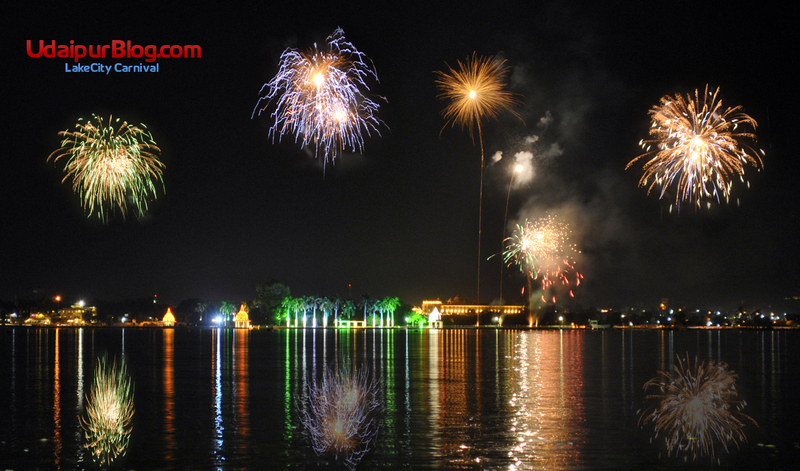 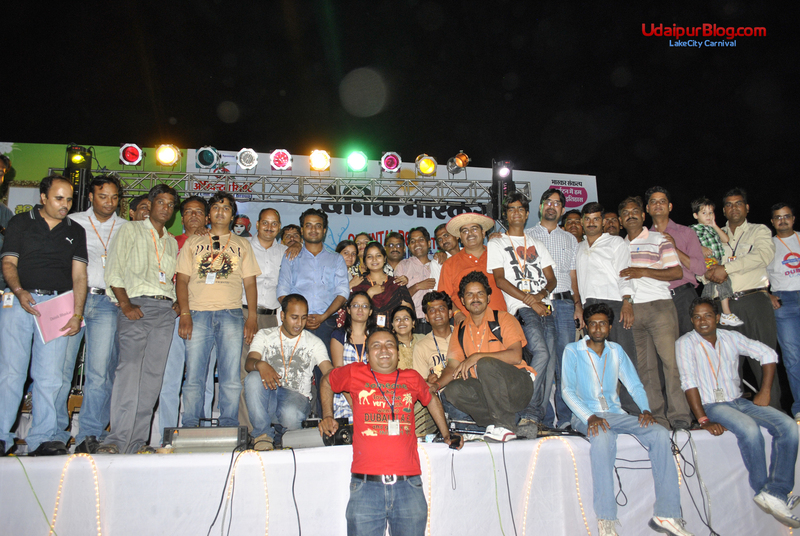 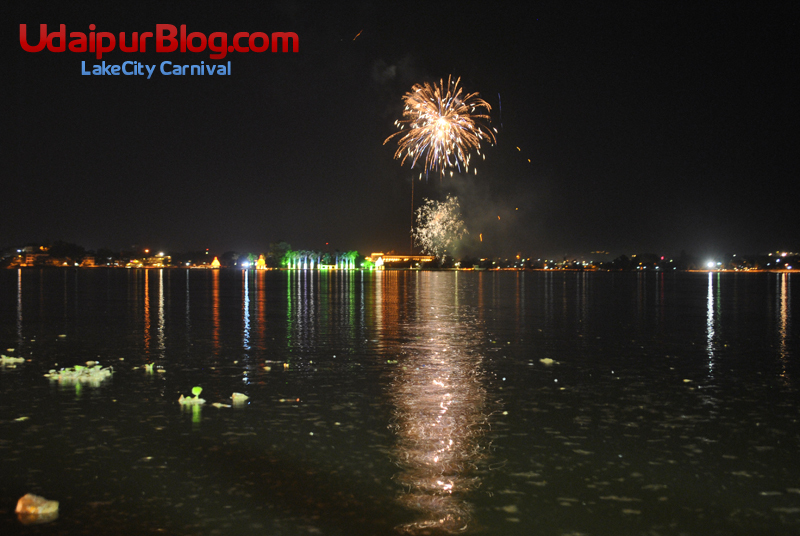 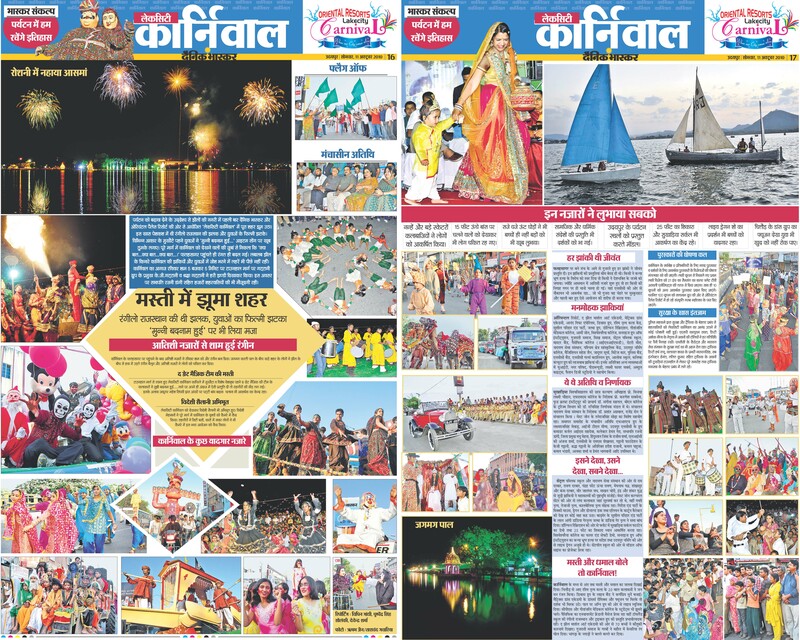 A stage set up and final performance segment was deliberated at the pall of Fatehsagar Lake for the audience who were unable to watch the performances all the way. 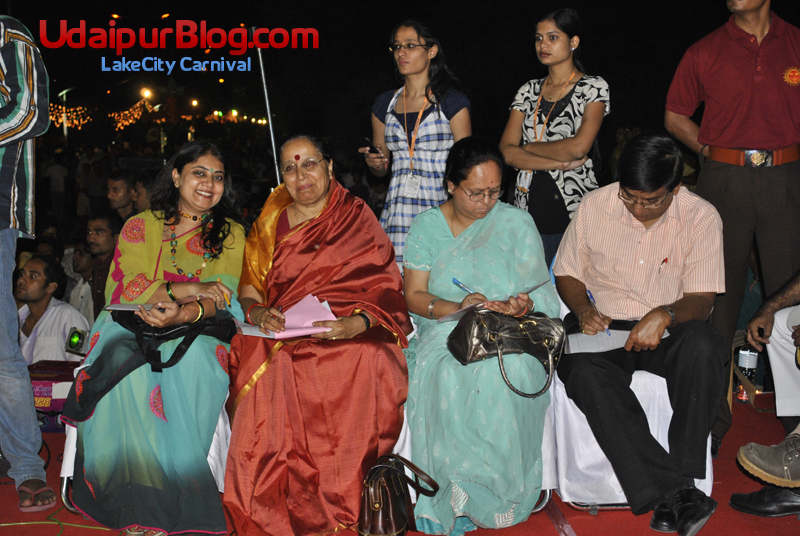 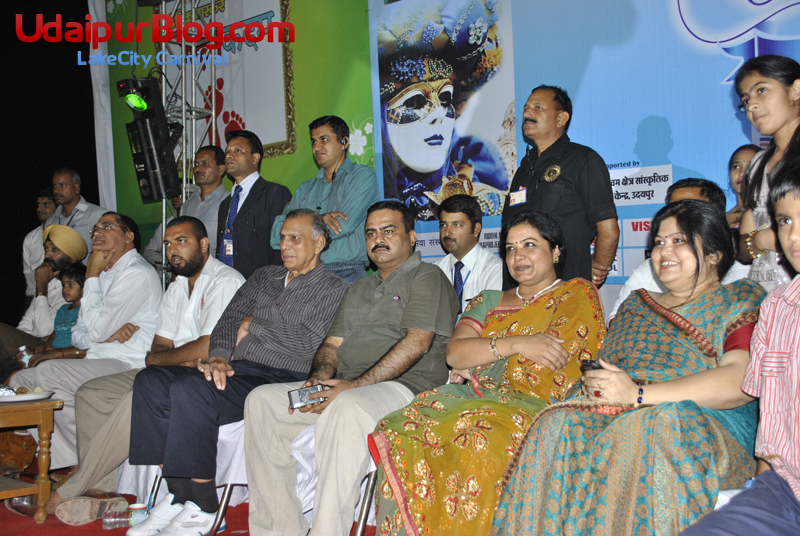 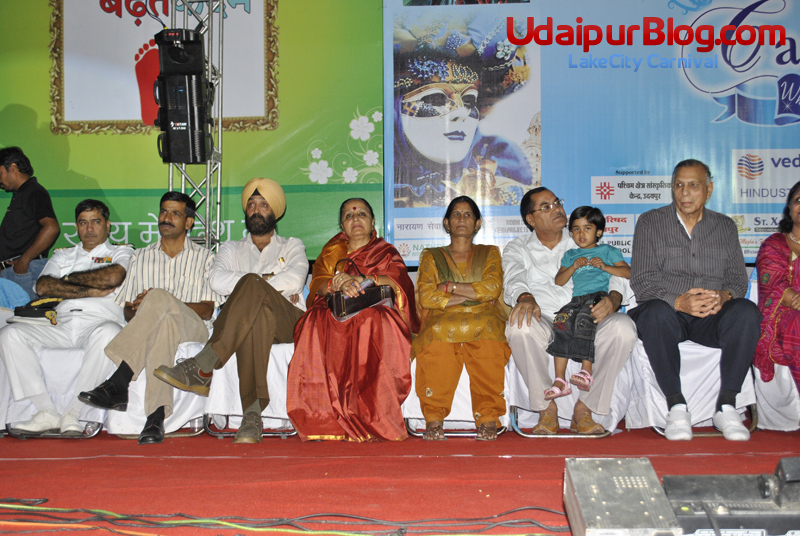 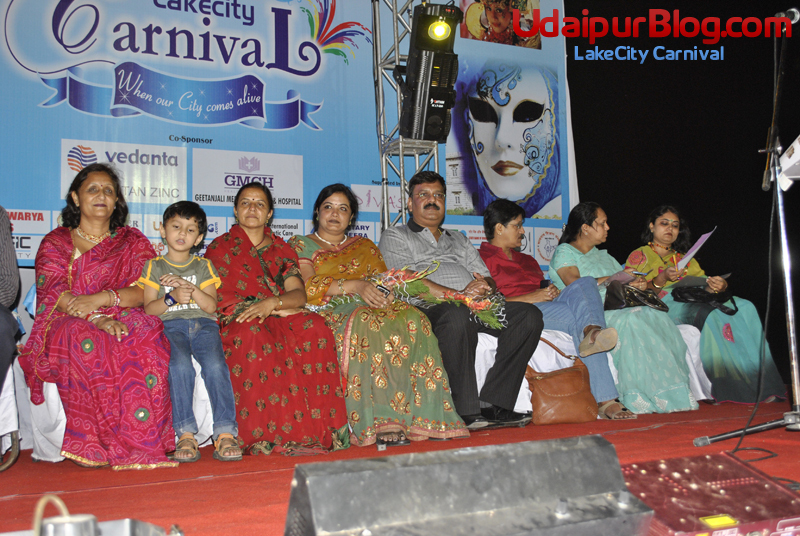 Every performance was devotedly observed by the honorable judges and guests Mr. Lakshyaraj Singh Mewar (HRH group), Mr. Hemant Gera (collector, city Udaipur),T.L Meena (I.G , Udaipur ), Mrs. Rajni Dangi ( Unit head, Nagar Parishad), Mr. Rajeev Sharma (Lic head, Udaipur), Mr. K.G Gattani (head, Oriental Resorts), Mr. V.S shekhawat (Unit head, Dainik Bhaskar Udaipur) and many other renowned personalities from Udaipur & outside For awarding the prizes. 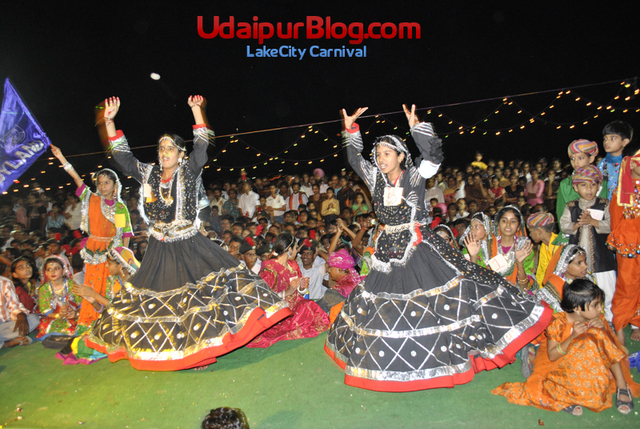 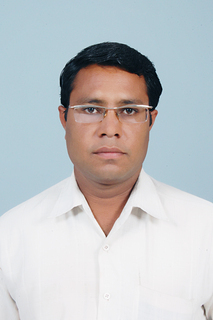 Winners will be announced in Dainik Bhaskar’s 12th October Edition & on Facebook page of Udaipurblog. 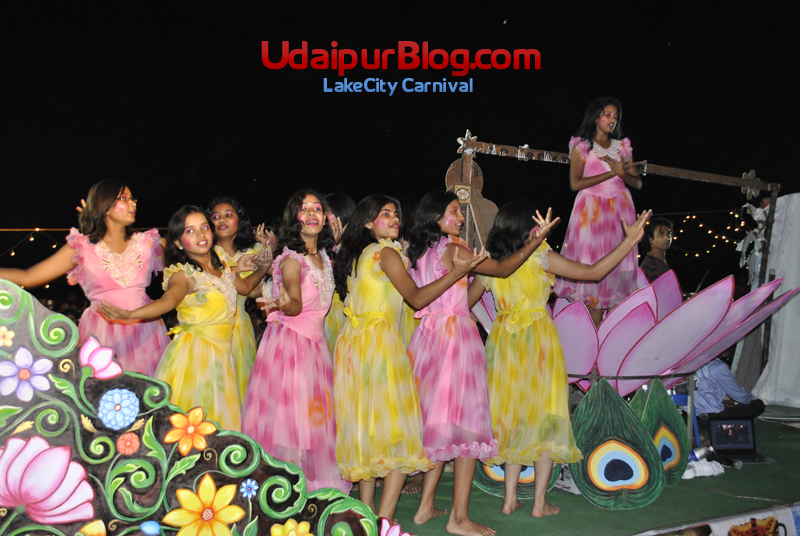 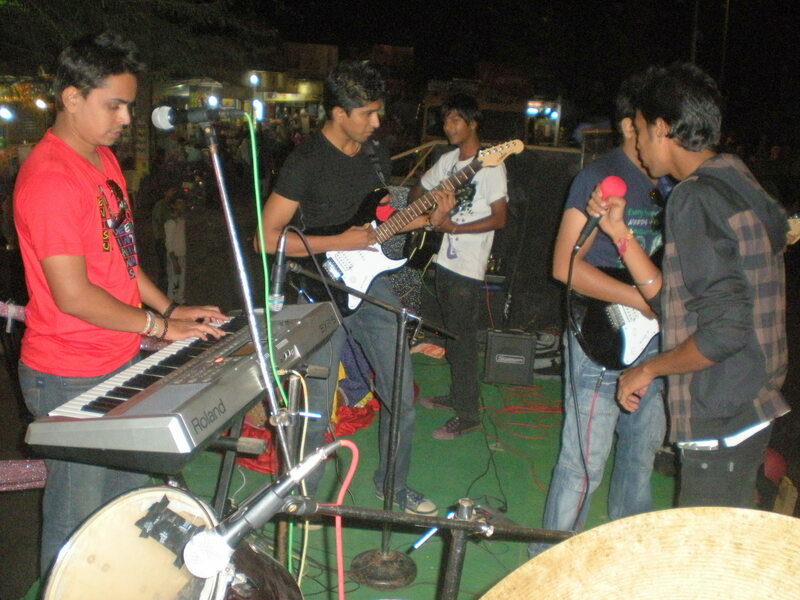 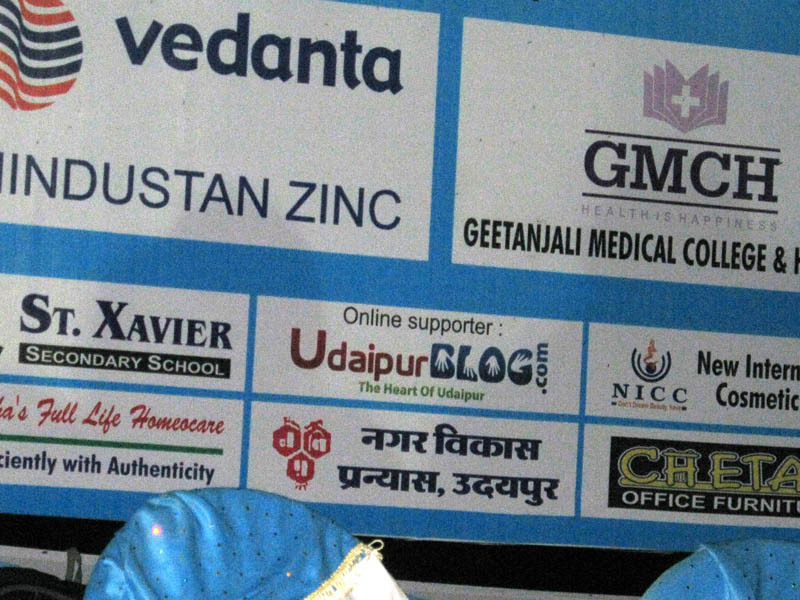 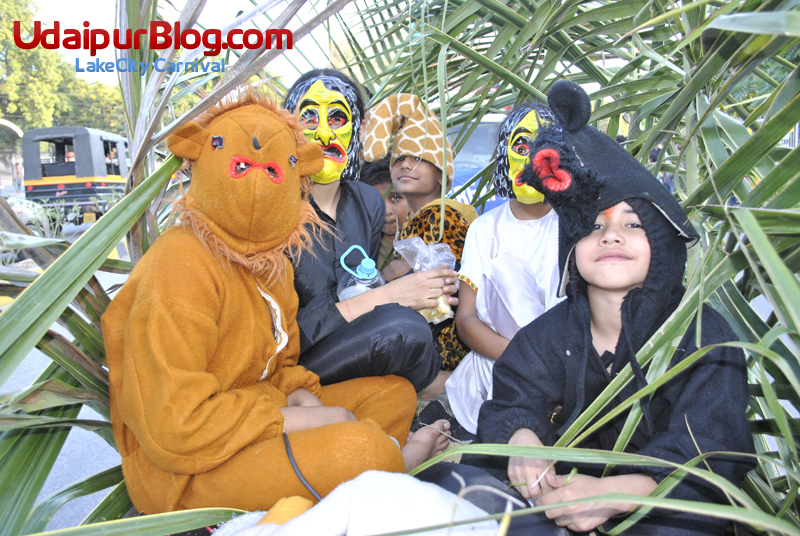 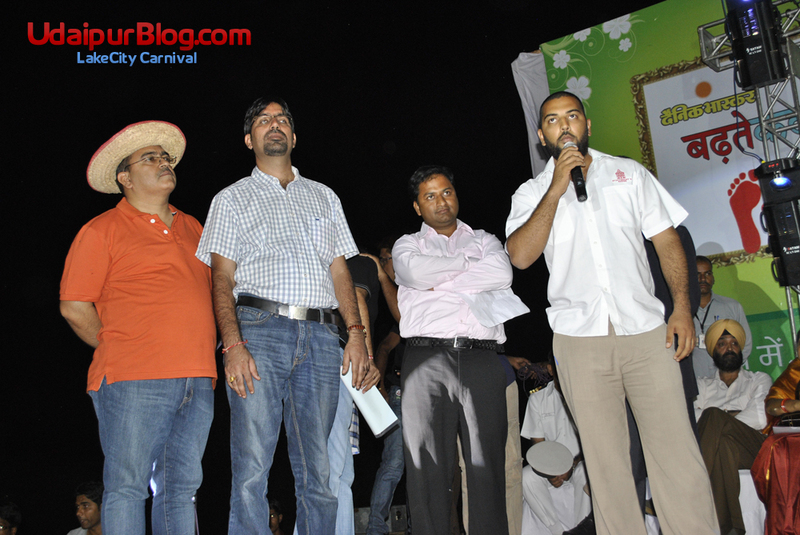 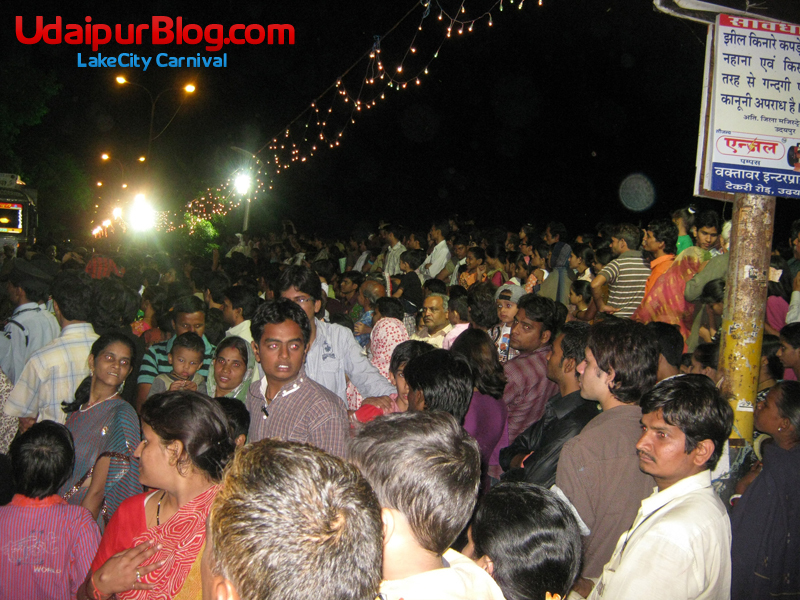 Some of the most entertaining and interesting performances were prepared by West Zone Culture, Narayan Seva Sansthan ,Diva’s group, Girish & Party, Susheel Parihar & Party (Badmer), Matrix Dance Academy , CPS School, Dolphin Recreation, Pacific College, Vishveshvarya college, Sunrise Group of colleges and St. Paul’s school etc.